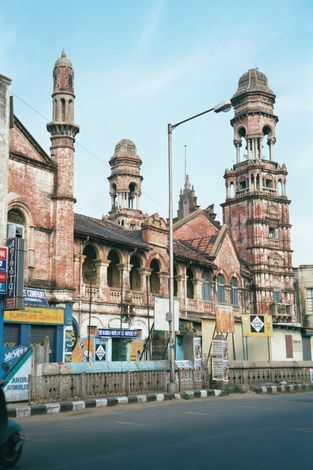 Never the commercial match of Calcutta or Bombay, British Madras still had a busy commercial center. A local institution still, this Higginhothams shop was built in 1904, but the company had been established in 1844 by Abel Higginbotham, librarian of the Wesleyan book Depository. 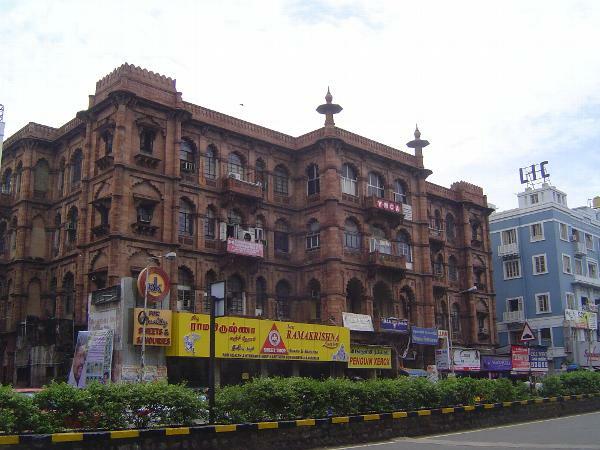 The Bharat Insurance Building, originally the Kardyl Building, from 1897. Located at 91 Mt. Road, now Anna Salai. 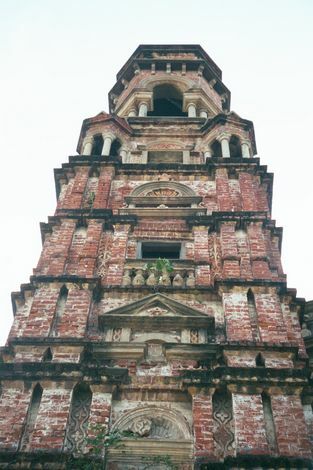 Same tower, from the base. From the back, a simpler picture. 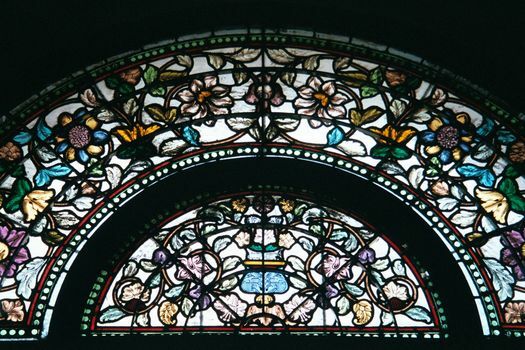 Deterioration began when the company was nationalized, along with the rest of the insurance industry, in 1956. 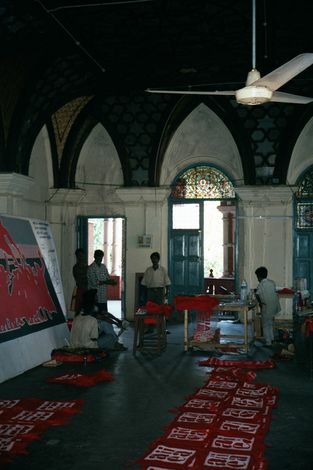 A crew is still at work, preparing posters. The sign says that the building is deemed unfit for occupation: irreparable structural damage. 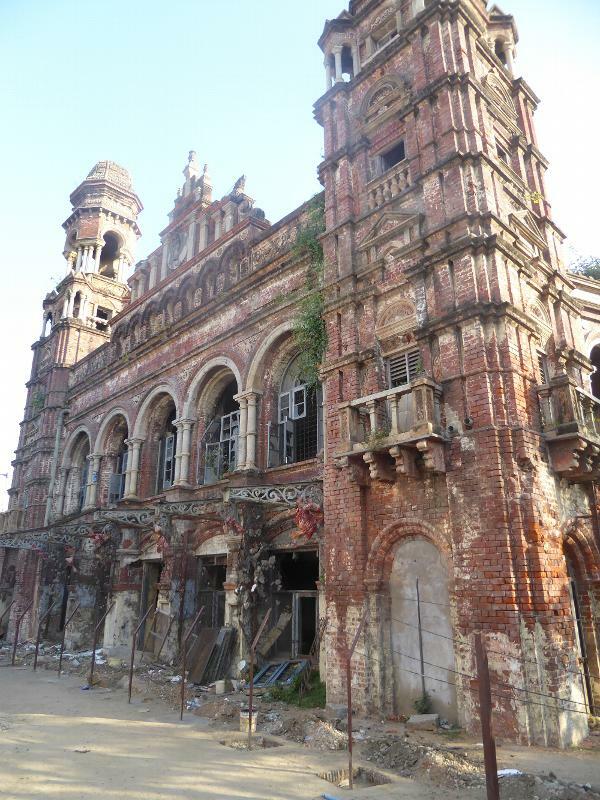 Plans in 2006 by the LIC to demolish the structure were arrested, however, by a High Court order in 2010 placing the building on a list of heritage structures. Here's the building in early 2016. 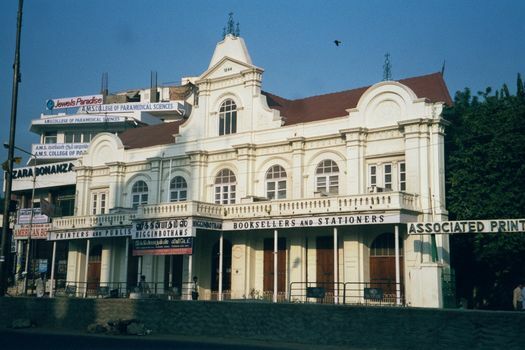 John Wanamaker, he of the Philadelphia department store and U.S. Post Office, paid for Madras' YMCA building, designed by a government architect and completed in 1900. The two top floors are rented out as office space. 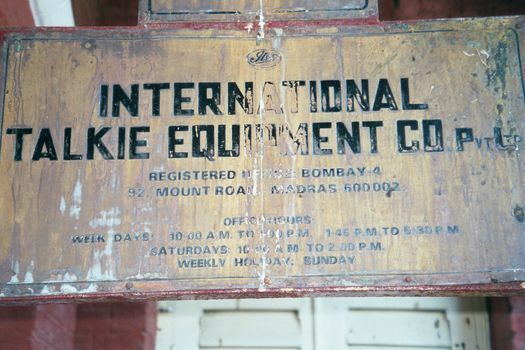 Here's a bank of many names: first it was the Presidency Bank of Madras, then the Imperial Bank, then the State Bank of India. Now it's HSBC. 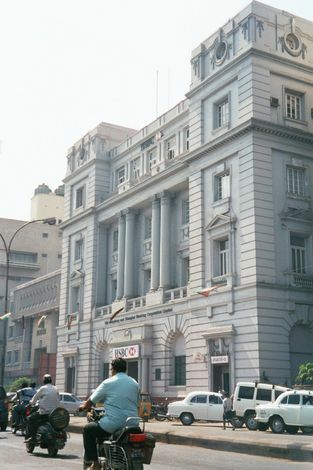 On the Esplanade and disrupted by subway construction, this building was built about 1940 as the United India Building, the headquarters for the United India Insurance Company and the other private enterprises controlled at that time by M. Ct. M. Chidambaram Chettyar. 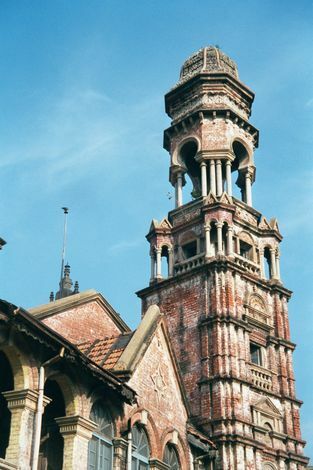 The business was nationalized in 1956 and is now used as a guest house for the Life Insurance Corporation of India. 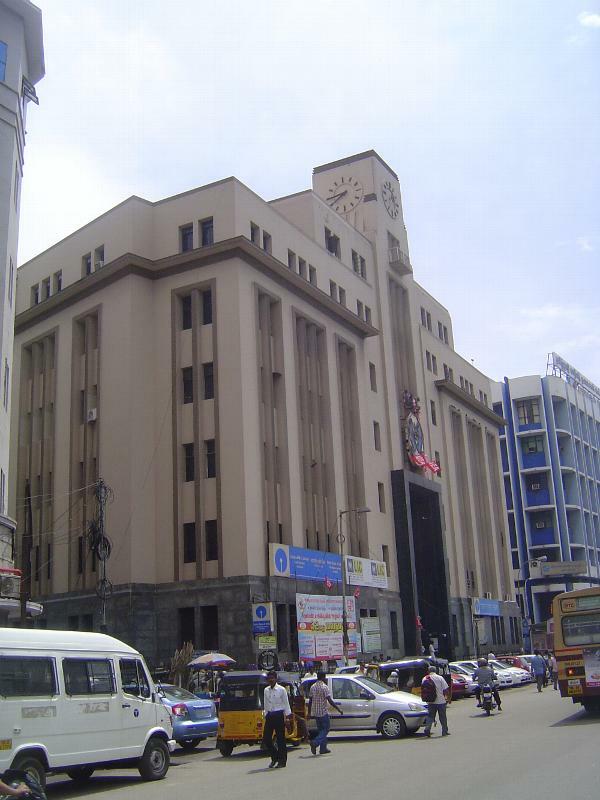 A few blocks away, on Bose Road, another Art Deco Building, this one built for Bombay Mutual and opened in 1955. 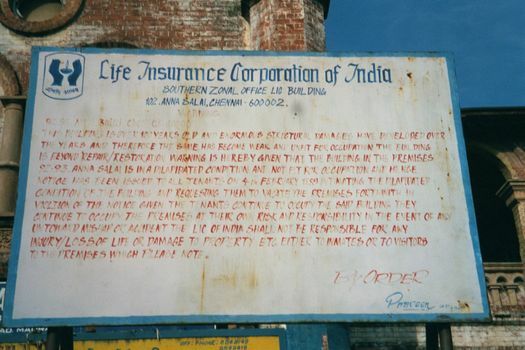 It was nationalized the next year and taken over by the Life Insurance Corporation of India. 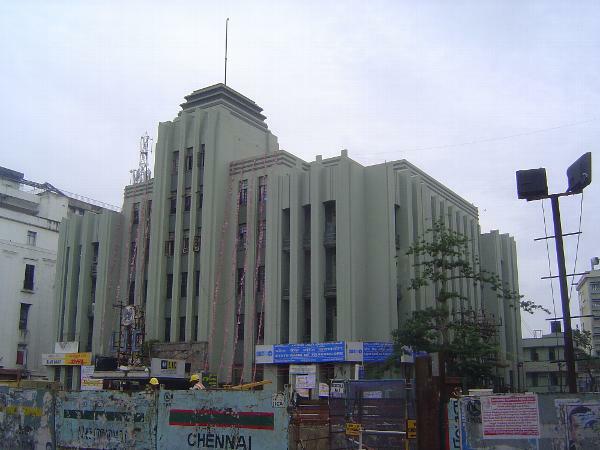 Behind the commerce was industry, in large part cotton-spinning mills like this one at Perambur, a few miles north of the city center. The name refers partly to the Duke of Buckingham, for whom a canal was dug northwards many miles from Madras. It also refers to the Carnatic, the state now known simply as Karnataka. 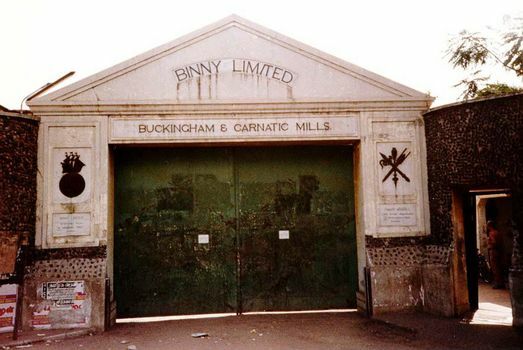 The B&C Mills, as the plant was known, operated from 1881 to 1996. 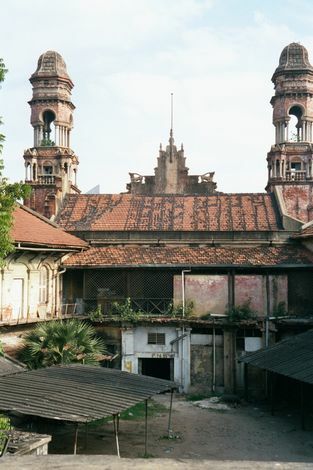 Since then the site has been a freight yard, but its claim to fame is that India's first labor union, the Madras Labour Union, was formed here in 1918.